Rooibos Therapy has discovered the added benefits of blending Rooibos with other medicinal plants from the Cape Fynbos family which have been used by local Africans for medicinal purposes for years. Rooibos Therapy Blended teas have 50 times more antioxidants than green tea. These antioxidants are known to thwart free radicals in the body that can damage cells and cause cancer. GenSix Digital was given the opportunity to design and develop a website that would successfully market the Rooibos Therapy brand online. 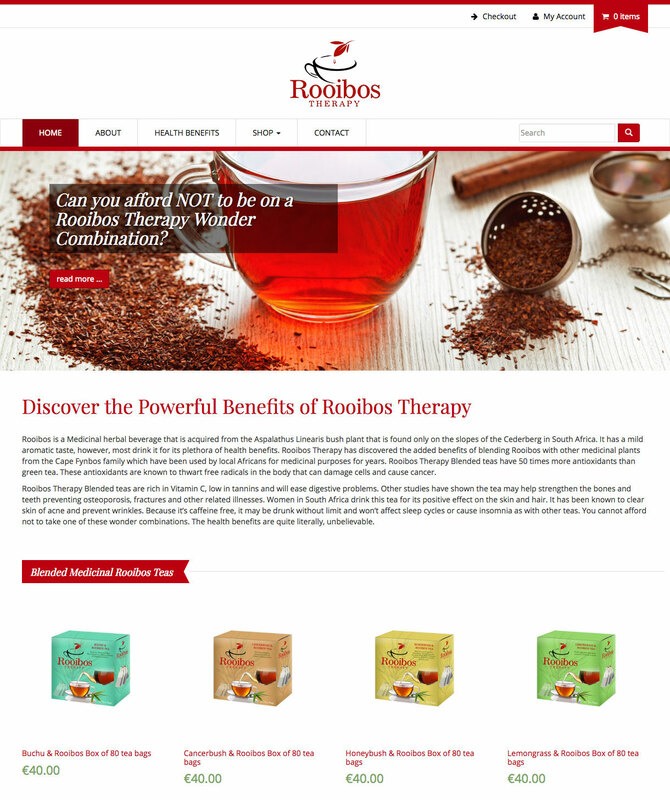 In addition to creating a website that captured the essence of the company's brand, we needed to make is possible for Rooibos Therapy to sell its products online. To accomplish this, we developed a fully functional ecommerce store with payment gateways.